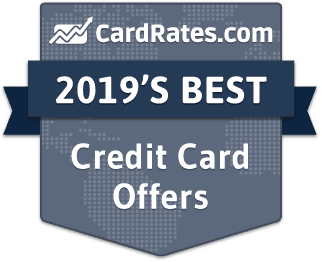 Below are our staff picks for 2019's best credit cards for applicants with a "fair credit" or average credit rating. Compare choices with 0% intro APR, cash back, and more. Our reviews follow strict editorial guidelines and are updated regularly. Ready to choose a credit card? 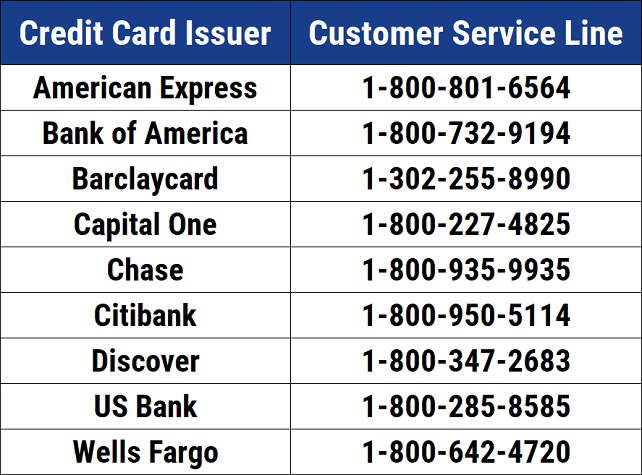 Our experts have compiled the following summary table to give you a quick glance at all of the best credit cards for fair credit and average credit. If you see a card you like, simply click on the card name to visit the issuer's official site for online approval. Maintaining good consumer credit has become an integral part of having healthy personal finances. That’s why it’s more important than ever to know where you stand with your credit. Given that your credit scores are based on the information in your credit reports, it makes sense to start there. You'll want to look at your reports from all three major bureaus (Equifax, Experian, and TransUnion), keeping an eye out for errors or negative accounts. Once you know what's dragging down your scores, you can work on repairing them. You are entitled by law to a free copy of each of your three credit reports once per year, which you can obtain through AnnualCreditReport.com. Of course, your free credit reports won’t provide one important thing: your credit score. For that, you can use any number of free services — including most credit cards — to find and track your scores. 1. What is a Fair Credit Score? 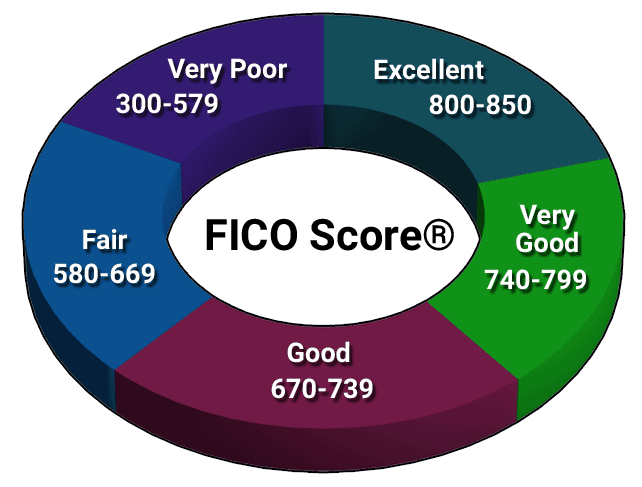 Credit scoring models created by the Fair Isaac Corporation (FICO) and VantageScore Solutions, the two most common brands of credit scores used by lenders in the U.S., are designed with a range or “scale” of 300 on the low end to 850 on the high end. The higher your credit scores fall on that scale, the less risk you represent to potential lenders. On the other hand, the lower your credit scores fall on that scale, the more risk you represent, which is not a good position to be in when you apply for a new loan, credit card, or service. Each lender determines its own credit score tolerances and decides for itself what it believes to be poor, fair, good, or excellent. Because credit scores are viewed through so many different lenses, the definition of a “fair” credit score varies based on the model used to calculate it. For example, a fair credit score according to FICO is a score that falls between 580 and 670. If you have fair credit scores, you will likely be able to qualify for a broad range of loans, credit cards, and other financial services products. However, you will not be eligible for the best rates and terms a lender has to offer due to your elevated level of credit risk. If this describes you, don’t stress. You have considerable room for improvement and no shortage of tips to help you improve your credit scores. 2. Can Credit Cards Help Improve Fair Credit Scores? Properly managed credit card accounts can absolutely improve all variety of credit scores, including fair credit scores. Keep in mind, however, that a credit card isn’t a magic wand when it comes to credit score improvement. If you have credit reports plagued with negative information, like collections, late payments, or a record of defaults, adding one positive credit card account to the mix isn’t going to erase the negative information that’s already there. It also won’t net out the negative impact. Credit cards can impact your credit scores in many ways. First, roughly one-third of the points in your FICO and VantageScore credit scores are based on the presence or lack of negative information on your credit reports. While a new credit card account won’t undo previous bad marks, it can be helpful to establish a positive credit history moving forward. Additionally, another third of your credit score points is based on debt-related metrics, including the amounts you owe on your accounts and, more specifically, your credit card balances relative to your credit limits. Generally speaking, the more you owe on your credit cards, the lower your credit scores. Finally, if you don’t already have any revolving credit card accounts on your credit reports, adding one could improve the mix of account types on your credit reports. This mix is important, albeit minimally, to both your FICO and VantageScore credit scores. The most important takeaway is that you need to manage your credit card accounts properly if you want them to improve your fair credit scores. Here are some best practices to follow. Make all your payments on time — credit card or otherwise. Although you can’t wipe out past credit mistakes by opening a new credit card account, you can start to establish a positive credit history from this point forward. Negative information also has a time limit and isn’t allowed to hang around your credit reports forever. Thanks to the Fair Credit Reporting Act, most types of negative information must be removed from your reports within seven to 10 years. It may also be encouraging to learn that the credit score impact of negative information lessens over time. That is to say that your scores are impacted more by a late payment that happened last month than they are by a late payment that happened three years ago. If you put a stop to late payments once and for all, the newer credit history you are building with positive credit card accounts will become more meaningful over time and likely will lead to higher credit scores. Pay down credit card balances. Whether you are opening a brand new credit card or you are trying to better manage your existing credit card accounts, you should shoot to have your cards paid in full each month. Not only will lower or non-existent balances lead to higher credit scores, but you’ll save a ton of money by not paying interest on your credit card accounts. Of course, while proper credit card management can improve your credit scores, mismanagement can lower them. Take the above advice, for example. If you miss payments on your credit card account or run up large balances, you’re going to practically guarantee lower credit scores for a longer period of time. 3. What Are the Three Major Credit Bureaus? In the U.S., there are three major credit bureaus, sometimes called credit reporting agencies or credit reporting companies. The “Big Three,” as they are commonly referred to, are Equifax, TransUnion, and Experian. The credit bureaus collect information about your credit management habits, which they normalize, store, score, and eventually sell to lenders, insurers, and other companies that have a legal reason to buy it. The information is generally referred to as a credit report and is primarily used by companies to determine the risk of doing business with you when you apply for financing, housing or services. Although all three of the major credit bureaus collect and sell similar information, they do not work together but are actually competitors. 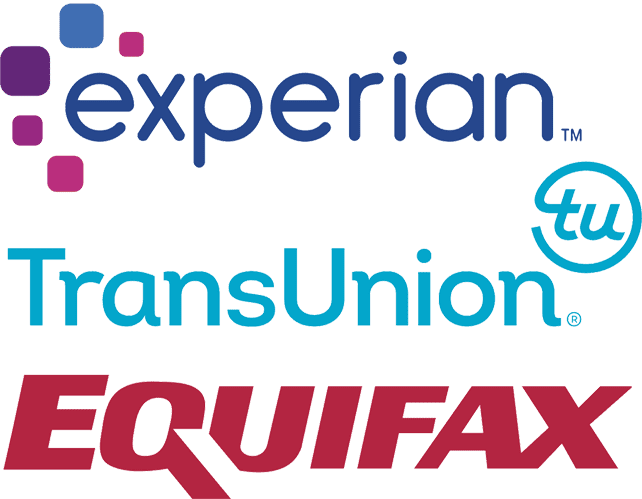 Equifax, TransUnion, and Experian do not share information with each other unless required to do so by federal or state law, nor do they share profits. All three of the major credit bureaus are regulated by state and federal laws that dictate what they can and cannot do when it comes to their credit reporting practices. On the federal side, the primary statute the credit bureaus are obligated to follow is known as the Fair Credit Reporting Act (FCRA). Most states have their own version of the FCRA, although they are normally heavily redundant with the federal version. NOTE: While there are three generally recognized major credit bureaus, dozens of other companies collect and sell similar information but are not in the spotlight like Equifax, Experian, and TransUnion. The rights you enjoy with respect to the big three, you also enjoy with respect to any other company that is, by legal definition, a credit reporting agency. 4. Which Credit Cards Require a Security Deposit? A secured credit card is the type of credit card account that typically requires you to make a deposit with the issuing bank. In most cases, the deposit will be equal to the credit limit you are issued on the account. So, for example, if you make a deposit of $500, you will probably be issued a credit card with a $500 limit, or something close to $500. Because you are essentially buying the account with your security deposit, a secured credit card represents little to no risk to the issuing bank. This generally allows lenders to do business with consumers who may be considered too risky for a traditional “unsecured” credit card account. 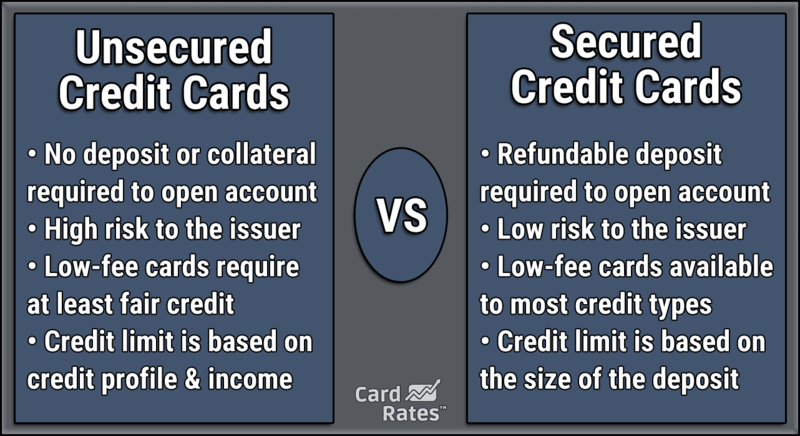 Because of the limited risk to the lender, secured credit cards generally include easy qualification standards when compared to traditional unsecured credit card products. As a result, secured cards are one of the most popular credit building tools available in the U.S.. The easier qualification standards also make secured credit cards an attractive option for younger people with no established credit history. Keep in mind, a secured card is not a prepaid debit card. You don’t deposit funds, draw against them, and then replenish the funds. Your initial deposit aside, a secured credit card works just like an unsecured credit card. Any merchant that accepts credit cards will also accept secured credit cards. Further, if you make charges, you will receive a statement that shows your balance. You will need to either pay your account balance in full or, at the very least, make the minimum payment on your account before the due date. Again, this is no different than an unsecured credit card. Additionally, if you carry, or revolve, a balance on a secured credit card account, you may be subject to interest fees. Your account may also have monthly or annual fees you need to be aware of as well. Best practices for credit card management include making your payments on time and paying your balance off in full every month, always before the payment due date. These rules apply to secured credit cards as well. If you do not manage your secured credit card carefully, it could damage your credit scores instead of helping them. As far as where to find a secured credit card, you won’t have to look very hard. Many of the financial services companies that offer unsecured credit cards also offer secured credit cards. Capital One, Discover, Wells Fargo, Bank of America, USAA, Credit One, Navy Federal Credit Union, Citibank, U.S Bank, and many other reputable banks offer secured credit cards. 5. Which Financial Institutions Offer Cards to Rebuild Your Credit? When it comes to rebuilding your credit reports and credit scores with plastic, you have a lot of choices. Secured credit cards, subprime credit cards, and retail credit card accounts are all options you might want to consider. These credit card products are available from a wide variety of banks, credit unions, and online card issuers. And they all have one thing in common, they’re not that difficult to get even if you have bruised credit. 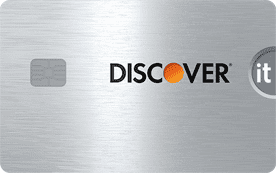 Currently, you can apply for a secured credit card account from three of the four major credit card networks —Visa, Mastercard, and Discover. Many banks, credit unions, and online card issuers offer secured credit card products, so if you are in the market for a secured credit card, you don’t have to settle for the first option that pops up in your browser. NOTE: American Express is the only one of the four credit card networks that does not have a subprime or “high risk” credit card product. It does, however, have a prepaid debit card product with the American Express logo. Keep in mind that prepaid debit cards are not an extension of credit and will not be reported to the credit reporting agencies. That means they will not help you rebuild your credit reports or credit scores. If you’re thinking about applying for a secured credit card account, it’s a good idea to research available options first and see which offers are the most appealing to you. Here are a few options to consider when you’re ready to begin your search. If you prefer to open a credit card account without making a security deposit, an unsecured subprime credit card account may be worth considering. A subprime credit card is designed with terms and conditions for applicants who have fair to poor credit reports and credit scores. And, while it can be difficult to qualify for a subprime credit card with no credit or severely damaged credit, you may be able to qualify depending on the issuer and its tolerance for elevated credit risk. 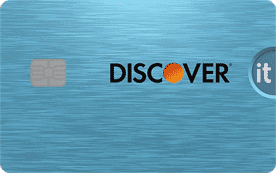 Subprime credit cards are currently offered by three of the four major credit card networks — Visa, Mastercard, and Discover. You can apply for a subprime credit card with just about any bank or credit union, in addition to many credit card issuers online. Just remember, it’s always a good idea to find out a card issuer’s qualification requirements before you fill out an application and allow your credit report to be pulled. Retail store credit cards, which include gas station cards, are structured like subprime credit cards. They have very low credit limits and higher interest rates. In addition, they can only be used at one chain of stores. Nonetheless, several financial institutions offer these cards, and, if used carefully, retail store cards can potentially help you rebuild your credit. Just keep in mind that these accounts come with pros and cons. On the plus side, retail store credit cards may offer easier approval criteria when compared with many general use credit card accounts. That means your chances of being approved are better with these types of credit card accounts. On the negative side, as stated above, retail store credit cards have notoriously low credit limits and high interest rates, even if your credit is in decent shape. That means that, even if you have a modest balance, the cost of servicing the debt is going to be excessive. Finally, if you opt to use a retail store credit card as part of your credit rebuilding plan, you should keep your balances as low as possible. Otherwise, you could damage your credit scores and waste a lot of money paying interest at the same time. 6. Can You Earn Rewards with Fair Credit? To earn rewards on any credit card, you need to first apply and be approved for a rewards credit card. There is, however, a catch. Many rewards credit card accounts are classified as “prime” credit cards. This means you could have difficulty qualifying for an attractive rewards credit card if you have credit problems. Practically speaking, you could search for the most attractive rewards credit card, apply for it, and receive a counteroffer from the card issuer. A counteroffer indicates the issuer is not comfortable approving your application for the specific card for which you applied, BUT it is willing to offer you a less attractive alternative. This less attractive alternative may not have the same rewards structure so you could find yourself being approved, but, because of your fair credit, not earn rewards. Nonetheless, your credit doesn’t necessarily have to be perfect to qualify for a new rewards credit card account. In fact, plenty of rewards cards cater to consumers who have far from perfect credit scores. Several card issuers promote rewards credit card products for consumers who fall into the fair credit range. Keep in mind, every lender has its own set of qualification standards and there is little uniformity across credit card issuers. Different lenders may consider different credit reports and scores when you apply for a new credit card account as well. ABC Bank may require a 680 FICO Score from your TransUnion credit report to qualify for its rewards card. XYZ Bank may require a 620 VantageScore credit score from your Experian credit report to qualify for its rewards card. That underscores the need to earn the highest credit scores possible, so you can avoid getting caught between what are referred to as “risk ranges” across card issuers. If you are worried about your application being denied, it’s always a good idea to review a lender’s qualification requirements before you apply. The last thing you want to do is apply for credit cards again and again only to be denied over and over. This will load your credit reports with score-damaging inquiries. It’s better to have realistic expectations, do some window shopping of the card options, and then apply for the one you feel gives you the best chance of being approved. 7. Do Cards for Fair Credit Charge an Annual Fee? One of the less common methods of revenue for credit card issuers is the annual fee. 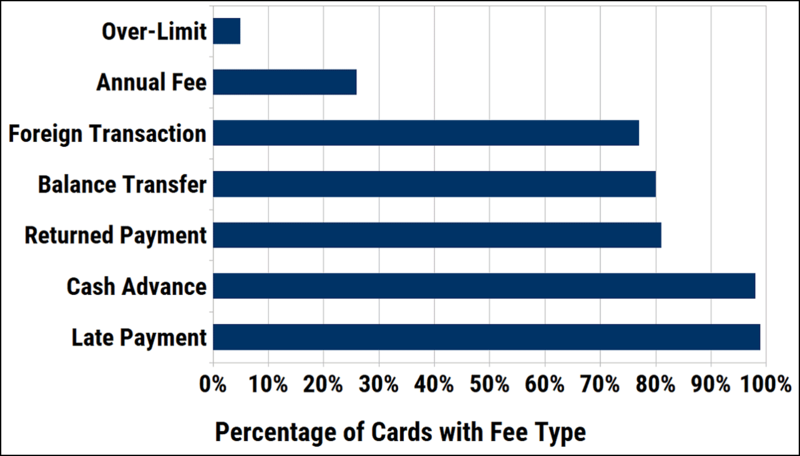 In fact, more cards do not have annual fees than do have annual fees. However, sometimes credit cards marketed to consumers who have fair credit do charge annual fees. Whether the issuer is going to charge you an annual fee is entirely dependent on how the issuer wants to make money from your newly opened account. Unfortunately, you have no control over the terms, fees, and rates a card issuer chooses. You can’t simply demand that your credit card company or companies stop charging you fees, lower your rates, increase your limits, or otherwise change their terms of service. It doesn’t work that way. You do, however, have complete control over the types of accounts for which you chose to apply. If you have fair credit and avoiding annual fees is important to you, search for credit card accounts that don’t charge an annual fee. Card issuers are very transparent about their fee structures and will certainly disclose whether they charge annual fees. Consulting a comparison tool, like those available through CardRates.com, can also be a easier way to shop for a new credit card without an annual fee. There’s one more thing to keep in mind regarding annual fees. It might actually be a better deal for you to choose a card that has an annual fee versus choosing a card simply because it does not. If you agree to take on the annual fee but never revolve a balance from one month to the next then the only fee you’ll likely ever pay for having that card is the once per year annual fee. Those fees are normally fairly modest, in the $79 per year range. The value you get from the rewards, the portable capacity of the card and the considerable fraud protections are certainly going to outweigh the annual fee. The point is, don’t immediately eliminate a credit card from consideration simply because it has an annual fee. 8. How Do You Get a Lower Interest Rate? The annual percentage rate on a credit card, also known as an “APR”, is what your card issuer will charge you if you chose to carry a portion of your balance from month to month. This is called “revolving” a balance. Technically you’re borrowing that money from your card issuer, and it is entitled to interest for lending you the money. The APR or, informally, your interest rate, is set by your credit card issuer. Unlike with loans, your interest rate on a credit card account is not set in stone and can vary over time. There are several reasons why your card issuer may want to adjust your interest rate. First, if your account is set up with a variable interest rate, as many credit cards are these days, your rate may fluctuate from time to time. Variable rate credit cards are typically linked to something known as the prime rate The prime rate, which adjusts up and down based upon the Federal Reserve’s federal funds rate, is generally the lowest financing rate available to a bank’s best customers. Many variable-rate credit cards are set up as prime plus some percentage. A lender will usually decide the exact percentage based on the strength of your credit report and credit score. Your rate, for example, could be Prime plus 12%. This means that, if the prime rate is currently 5.5%, your credit card interest rate would be 17.5%. If prime dropped to 4.5%, your interest rate would usually move down to 16.5% and so forth. The bottom line is credit card interest rates can be subject to change — a fact you may be able to work to your advantage if you were hoping to get a lower rate on an existing credit card account. In fact, you may be able to score a lower interest rate simply by asking for one. Believe it or not, your credit card issuer may be willing to lower your rate in the interest of customer service. Credit card issuers send out billions (yes, billions) of promotional offers every year in an attempt to attract new customers. Some of these offers are actually firm offers of credit. Others are invitations to apply for credit or, more formally, “ITAs.” You can bet that they want to keep their current customers as well, especially if your track record with the bank is good and your credit is in fair or better condition. If you call your card issuer’s’ customer service department and ask for your interest rate to be lowered, there’s a decent chance your request might be granted. Naturally, it’s ultimately the card issuers’ decision whether to lower your interest rate, but it never hurts to ask and the call is free. Here are a few tips that may help your case for a lower interest rate. Knowing the rates and terms other card issuers are currently offering can be a guide to help you attempt to negotiate a lower rate on an existing account. CardRate.com’s guide to the best credit cards of the year can be a helpful place to start your research. If you are currently paying a higher rate than a competitor would charge you, that’s not a bad strategy to use to convince your issuer to reduce itsrate. Planning out a basic script before your call is a good idea. Let the card issuer know that you’ve been looking at offers from other card issuers, that you are unhappy with your current rate, and that you wish to request an adjustment as a courtesy. Don’t be afraid to escalate and ask for your call to be transferred to a supervisor with more authority if needed. Have you been a customer for some time, maybe several years? Bring that fact up during your call when you request a better rate. Do you have a flawless payment history on the account? Mention it. Are your credit scores in good shape? Let the representative you are speaking with know. 9. Do Credit Cards for Fair Credit Require Monthly Payments? If you have ever carried a balance from one month to the next on your credit card account then you have “revolved” that balance. And, you are what credit card companies refer to as a “revolver.” When you revolve a balance, regardless of the amount, some sort of monthly payment will be required. The only exception is the occasional “skip a month” programs that some credit card companies offer during the holiday season. This monthly payment requirement is true of all credit card accounts, including credit cards issued for those who have fair credit. Your outstanding balance can be composed of several factors. Generally speaking, your balance is going to be the sum of new charges, the pre-existing balance, fees and interest minus payments and credits. If the grand total is greater than zero dollars then you have to make a payment. This also means you do not have to make a charge on the credit card account to have a payment due. While the amount of the payment can vary, it will normally be a small percentage of the outstanding balance. Of course, you can make any payment that is at least large enough to satisfy the card issuer’s minimum requirement. So, for example, if the minimum payment is $120 you can certainly pay something much higher than that. Revolving a balance is not a smart financial decision because credit card interest is expensive. The smartest way to manage a credit card account is to pay your balance in full every month. This will benefit you two ways. First, you will avoid interest because no balance equals no interest. Second, your credit scores will benefit because credit scoring systems like to see low or no balances on credit card accounts. While paying your balance in full is the best strategy, you must make at least the minimum payment on your account by the due date listed on your statement. If you fail to make the minimum payment by the due date then you will be assessed a late fee, which is generally about $35. You will also have not paid any amount of the balance so the interest rate will be applied to the full amount thus maximizing the interest accrued for that month. 10. How Do You Pay a Credit Card Account? Your credit card issuer will send you a statement at the end of your billing cycle. This statement will either be mailed to you or otherwise sent to you electronically. This happens once per month. Once you receive your bill you will have a short period of time, called a “grace period”, before your payment is due. The amount of time between when your statement is generated and the payment due date will be no less than 21 days, thanks to federal law. Of course, you can make a payment at any time during the month. You can mail the card issuer a paper check, make your payment online, pay over the phone, and you may even be able to walk into a branch and make your payment in person. The card issuer would prefer that you make your payment online because it is less expensive for them to process online payments than it is for them to process paper checks. Regardless of which method you chose, make sure they receive the payment before the due date. There are three methods you can follow when paying your credit card account each month. Basic — Pay the minimum payment by the due date. Making at least the minimum payment by the due date on your account is an effective way to protect yourself from late fees, interest rate hikes, credit limit reductions, or an account closure triggered by non-payment. It will also protect your credit reports from damaging late payments. Of course, making just the minimum payment on your credit card accounts will result in interest fees being applied to your existing balance. This method is also not so great for your credit scores because credit scoring systems will penalize you for having balances. Better — Pay the entire balance by the due date. Another, better, credit card payment method involves paying your entire balance by the due date. This payment method will protect you from late fees, interest rate hikes, account closure, and late payments being reported to your credit reports. Additionally, you will avoid paying expensive interest fees. Most credit cards will not charge interest on a balance if you pay the balance in full before the due date for that billing cycle. Paying your balance in full is the best way to manage a credit card account. With the average credit card interest rate hovering around 18%, paying off your balance will save you a lot of money over the course of the year. And, every dollar of interest you are not sending to a credit card company can be working for you in the form of wealth-building or paying off other interest accruing debt. Best — Pay the full account balance before the statement closing date. Without a doubt, paying your full account balance prior to the statement closing date is the best way to manage your credit card accounts. This payment method will help you avoid late fees, interest rate hikes, account closure, late payments on your credit reports, and expensive credit card interest. It’s also the best method of maintaining good credit scores. The statement closing date represents the end of your monthly billing cycle and the day your newest statement is generated. Your minimum payment is calculated from the balance on this date. This balance is reported to the credit reporting agencies and ends up on your credit reports. If you can make periodic payments throughout the month and end up with a zero, or close to zero, balance at the statement closing date, then the balance that’s reported to the credit reporting agencies will either be zero or close to zero. This is very good for your credit scores. Plus if your balance is zero, there won’t be a monthly payment due because there is nothing additional to pay. The downside to this method is that you will forgo the 21-day grace period because you are making your payment before it even begins. Nonetheless, if you were going to pay the balance in full anyway then you likely didn’t need the grace period. Each of the three aforementioned methods is better than missing a payment. And while they vary in their benefits, each of the three will help you to avoid the punitive actions that credit card issuers take when and if their customers go delinquent. 11. Do Late Payments Increase Your Interest Rate? Late payments on credit card accounts can be both damaging to your credit scores and can potentially become quite expensive. Credit card issuers do not like late payments, and they have a variety of punitive actions they can and will take as a result of you missing a payment. One such action a credit card issuer can take in the wake of a late payment is to increase your interest rate going forward. The likelihood of this aggressive action is going to vary depending on how late you pay and how often you pay late. Credit card issuers vary in their policies with respect to interest rate hikes caused by late payments. Being one day late or even 20 days late doesn’t automatically result in an interest rate hike. Typically, when you miss the due date, a card issuer will begin taking incremental corrective steps, depending on how late you are in paying. The following is a typical scenario but doesn’t necessarily represent how your credit card issuer would react to your delinquency. One Day Late: Late payment fees may be assessed by your card issuer if you miss the due date by even a single day. If you address the missed payment quickly, you may be able to call your card issuer and have them waive the late fee. Though card issuers aren’t required to waive late fees, many are willing to do so as a courtesy. I wouldn’t count on them waiving the late fee more than once or twice. 30 Days Late: In addition to late fees assessed by your card issuer, this late payment can now be reported to the credit bureaus because you are a full 30 days past your due date, the minimum delinquency required by the credit bureaus before late payment reporting can occur. Although a single, 30-day late payment isn’t likely to destroy your credit scores, it can potentially cause some damage. 60 Days Late: Now we’re getting serious. Once your payment passes the 60-day late threshold, there’s a risk your card issuer will opt to close your account or, at least, suspend your credit line. By now your card issuer has contacted you and reminded you of your delinquency. At the 60-days-late mark, you may also trigger the penalty APR on your account. The penalty APR often hovers around 30%, and it can last indefinitely in some cases. To add insult to injury, this higher rate may be applied to both future purchases and your existing balance. If you are really so busy that you miss a credit card payment, then one smart way to protect yourself is to set up automatic drafts. Scheduling an auto draft of at least your minimum payment from your checking or savings account may help to protect you from late fees, credit damage, and other punitive actions. Keep in mind, a minimum payment auto draft should be a backup plan. Don’t make the mistake of thinking auto draft means autopilot for your credit card accounts. You should still check your credit card statements each month, review those statements for errors, and pay your balance in full before the statement closing date for optimal results. It’s also worth noting that late payments or default on unrelated accounts may trigger an increase in your credit card interest rate. This is called “universal default” and it is perfectly legal. Since credit card issuers are loaning you money on an ongoing basis, they need and want to keep an eye on how your credit risk changes over time. To accomplish this, your card issuers may review at least one of your credit reports and credit scores every month. If you make late payments on an unrelated account and trigger a decrease in your credit scores, your card issuer may decide that the terms of your agreement need to be adjusted to compensate for increased credit risk. This offset is typically accomplished by increasing your interest rate. Your card issuers, in extreme circumstances, may even lower your credit limit or simply close your account. While it may seem unfair that a card issuer can adjust your terms based on your management of an entirely separate account, it is allowed. Your interest rate on future purchases may be adjusted provided (a) your account has been open for at least 12 months and (b) your card issuer provides you with a 45-day advance notice of the upcoming change in interest rate. 12. How Do You Obtain a Higher Credit Limit? You may obtain a higher credit limit on your existing credit card account simply by asking for it. A higher credit limit increases your buying power, increases the potential revenue for the card issuers, and may even result in a higher credit score for the cardholder. It’s a win-win all the way around. However, before you call your credit card issuer,you should educate yourself on the process and be realistic with your expectations. If you’re ready to request an increase, the following tips will help. Check your three credit reports to make sure they are error-free and in good shape. Your card issuer is likely to check at least one of your credit reports. Technically, asking for a credit limit increase is synonymous with applying for credit and may result in a credit inquiry. You don’t want to run the risk of any credit-related surprises or errors that can cause your request to be denied. You can claim a free copy of your three credit reports once every 12 months at AnnualCreditReport.com. Consider beginning with an older account that has a solid payment history. Although a card issuer will often check your credit report when you put in a request for a credit limit increase, having a great history with the card issuer itself is helpful. Keep in mind that some credit card issuers may require you to have the account open for a minimum period of time before a credit limit increase is granted. Consider a card that you use, a lot. Credit card issuers make money every single time you swipe or tap your card. This fee is called the “swipe” fee or, more formally, an interchange fee. The more you use your card, the more swipe fees your card issuer collects, which is a financial incentive for your card issuer to give you a larger credit limit. You stand a better chance of getting a meaningful increase if you choose a card you use often, perhaps even the card you use as your primary method of payment. The bottom line is credit card issuers are often happy to grant reasonable requests for higher credit limits, especially if your account history and credit reports are in good shape. And, if you’re likely to take advantage of the higher limit, then there’s a financial incentive for the issuer to approve your request. Just be realistic with your expectation. It’s unlikely the credit card issuer is going to double your credit limit. 13. What is a Credit Utilization Ratio? Your credit utilization ratio, also known as your debt-to-limit ratio or your revolving utilization ratio, is the relationship between your credit card balances and your credit card limits, as expressed as a percentage. For our purposes, we’ll just refer to it as “utilization.” Utilization is a very influential factor in both your FICO and VantageScore credit scores. The reason this is true is that utilization is highly predictive of credit risk. The more predictive, the more influential to your credit scores. Because of its importance, it’s a good idea for you to have a firm grasp on how credit utilization is determined so that you can do your best to positively influence the ratio. Otherwise, you could end up harming your credit scores even if you end up making all of your payments on time. In fact, next to paying your bills on time, your utilization ratio is one of the most influential components in all of your credit scores. Simply put, the lower your utilization ratio/percentage, the better. And, in order to understand how to positively influence the ratio, you need to understand how it’s calculated. Take your credit card balance or balances from your credit report, divide that figure by your credit card limit, then multiply that figure by 100. That is your utilization ratio. Credit utilization can be calculated in a variety of ways but as it pertains to credit scoring, it’s calculated in two ways: line-item utilization and aggregate utilization. This means not only will credit scoring models consider the credit utilization ratio on each of your individual accounts, but they will also consider the overall utilization on all your credit card accounts combined. Above was an example of how line-item utilization is calculated. Here’s an example of aggregate utilization. In this example, the consumer has three open credit card accounts on his or her credit report, as shown in the table. The aggregate or sum of the balances is $2,650 The aggregate or sum of all credit limits is $10,000. When you divide $2,650 by $10,000 you get 0.265. When you multiply 0.265 by 100 you get 27%. So, in this example, the overall credit card utilization is 27%. As you have probably already figured out, this is simple math. You can impact this math by maintaining lower balances, higher credit limits, or a combination of both. As your balances and credit limits change, so will the ratios. And, as the ratio changes so will your credit scores. In general, the lower both your line-item and your aggregate credit utilization ratios, the more credit score points you will earn. And, while it’s very hard to hit zero percent and hold it there month after month, that doesn’t need to be your goal. If you can maintain a ratio of less than 10% your credit scores will be just fine. 14. What Are Foreign Transaction Fees and How Do You Avoid Them? If you plan to travel outside of the U.S. any time soon, it’s important to understand what foreign transaction fees are and learn how to avoid them. Traveling abroad is already expensive. Foreign transaction fees can add to your already expensive trip. First things first, using your credit cards when you travel out of the country is a good idea. It eliminates the need to carry a bunch of American currency or the need to convert American currency into the local currency, which comes with a cost. Plus if your credit card is stolen you don’t have any liability for fraudulent charges as long as you report the fraud in a timely manner. Portable capacity, iron-clad fraud protections…yes, credit cards are the way to go when you’re abroad. Your credit card issuer may charge you a fee when you use your card with a merchant that is located outside of the U.S.. This is called a foreign transaction fee, and it’s another way your credit card issuer generates fee-based revenue. Generally, the foreign transaction fee is listed on your subsequent statement and is clearly identified as such. Foreign transaction fees have been common in the credit card world for a long time. Every card issuer is different, but fees for purchases made outside of the country can often range from 2% to 3% on each transaction. So, if you were to charge $4,000 on your credit card during an international trip, you may pay somewhere in the range of $80 – $120 extra dollars just for the privilege of using your credit card in another country. It’s also possible to incur foreign transaction fees without ever stepping off U.S. soil. Any time you make a purchase from a retailer that is based outside of the U.S., there’s a chance your card issuer will assess a fee for converting your U.S. dollars to (or from) the currency of another country. You can certainly ask your credit card issuer to waive the fees, and it can certainly decline your request. That’s not what I would call an effective strategy to avoid foreign transaction fees. It’s actually a much more effective strategy to simply use a credit card that doesn’t have foreign transaction fees when you’re traveling abroad. Foreign transaction fees are optional for the issuer, and plenty of credit card companies choose not to charge them. You may already have one of those cards in your wallet, or you may have to apply for one if you don’t want to pay that fee. If you’re in the market for a credit card with no foreign transaction fees, here’s a list of options from CardRates.com to consider. The information on this page was reviewed for accuracy on February 26, 2019 .